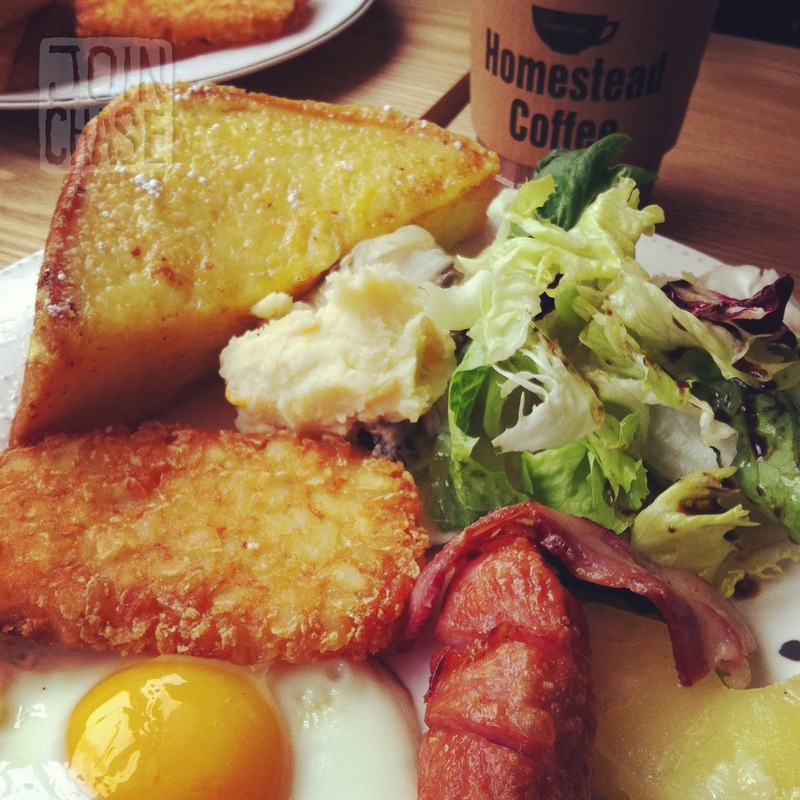 There are a several Homestead Coffee locations around Seoul. I stopped by the one in the heart of Itaewon for brunch. Nice atmosphere. Relatively quiet. Decent coffee. Organic ingredients. Brunch was okay. The premade hash-brown-patty reminded me of public school lunches as a child. Surprisingly, that was my favorite part. I like to see less mixed greens and more fruit on my plate. And I would’ve appreciated fresh fruit instead of a single ring of canned pineapple. Wait. I think it was just half of a ring of canned pineapple (which also reminded me of public school lunches from childhood). The massive piece of honey toast, which is a common item in most Korean coffee shops, didn’t have much taste. Thankfully, I like consuming unnecessary amounts of tasteless carbs just because, so I wasn't even mad about it. I was upset about the one strip of bacon, however. One strip? Seriously? What a tease! I’ll probably go back, but not for brunch. They had other options on the menu, and I did like the coffee. Not much else to say apart from the fact that it’s at least a place that serves okay brunch in Korea, and for a pretty good price. Is it the best? No. My quest for the best brunch in South Korea definitely continues. Itaewon Station, Line 6, Exit 2 – It's right outside the exit. You can't miss it.